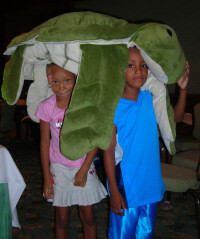 You are here: Home / Welcome to the World of Caribbean Sea Turtles! / Vision & Approach / Why Sea Turtles? 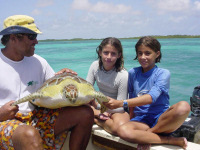 Caribbean sea turtles are strongly depleted from levels of historical abundance, mainly due to over-exploitation and habitat destruction. All six Caribbean occurring species are classified by the IUCN Red List of Threatened Species as “Endangered” of “Critically Endangered” throughout their global ranges. Threats accumulate over long periods of time and can occur anywhere in a population’s range; thus, declines often result from a combination of factors, both domestic and foreign. 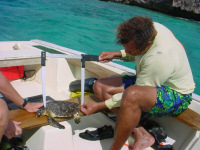 Our region once supported populations of sea turtles that numbered in the uncountable millions. Seventeenth and eighteenth century mariner records document flotillas of turtles so dense and vast that net fishing was impossible, even the movement of ships was curtailed. Today some of the largest breeding populations the world has ever known have vanished, or nearly so. In addition to a largely unmanaged direct take that has spanned centuries, sea turtles are accidentally captured in active or abandoned fishing gear, resulting in death to uncounted thousands of turtles every year. Coral reef and seagrass degradation, pollution and marine debris, high density coastal development, and an increase in ocean based tourism have damaged or eliminated nesting beaches and feeding areas. 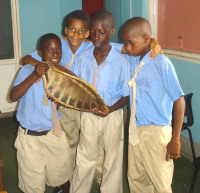 International trade in sea turtle products has also contributed to the demise of some species. 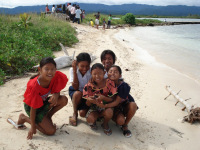 Those who hunt sea turtles and/or use the many valuable products that sea turtles provide are concerned that depleted populations cannot provide a sustainable livelihood, and that their children or grandchildren may not be able to carry on the same traditions practiced by their forefathers. 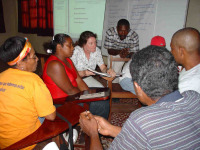 Similarly, those who value the ecological services that sea turtles perform in coastal marine ecosystems, or rely upon thriving sea turtle populations for eco-tourism based livelihoods, are alarmed that so many local populations have been lost. 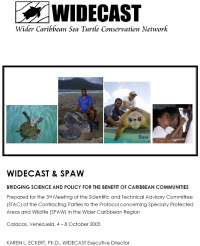 In 1981, when WIDECAST was born at a meeting of Caribbean conservationists in the Dominican Republic, it was clear that Caribbean sea turtles were on a collision course with extinction. The late 1970s and early 1980s saw a remarkable convergence of international initiatives designed to promote their recovery, including listing them on the IUCN Red List of Threatened Species, and on Appendix I of the Convention on International Trade in Endangered Species of Wild Fauna and Flora (CITES). 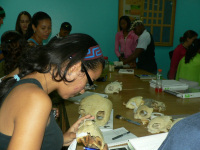 As a result of decisions made in Martinique (by a meeting of experts convened by IOCARIBE in November 1977), two intergovernmental Western Atlantic Turtle Symposia (Costa Rica, 1983; Puerto Rico, 1987) convened to “bring our knowledge up to date about the biological peculiarities of the marine turtle populations of the western Atlantic”. In August 1984, representatives of the Organization of Eastern Caribbean States (OECS) met in St. Lucia for a workshop on the Harmonization and Coordination of Fishery Regimes and proposed a moratorium on the taking of sea turtles and their eggs. While the moratorium did not pass, there was no doubt that a formal dialogue on sea turtle conservation and management in the region had begun – and it continues to this day.